Former Arsenal defender Sol Campbell believes that the club’s new boss Unai Emery is trying to implement a style similar to La Liga champions Barcelona. The Gunners have had a difficult start to the 2018-19 season, losing their opening two fixtures against champions Manchester City and Chelsea. 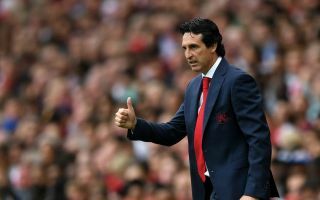 Emery has steadied the ship by masterminding back-to-back wins since losing at Stamford Bridge, against West Ham United and Cardiff City, but there is still plenty of work to be done before Arsenal can be considered a major force once again. What has been evident from the first few games of the season is that the club’s new Spanish boss wants the team to play out from the back, which has so far paid dividends in attack to a certain extent, but has also led to 8 goals being conceded after just four matches. According to The Daily Star, ex-England and Arsenal stalwart Campbell sees similarities in the system Emery is trying to implement with the set-up Ernesto Valverde favours at Barcelona, which he believes will take time to master for the North Londoners. “I think it’s all about a new rhetoric, new system,” Campbell told reporters. “Players finding out how the manager wants to play and training-wise it’s great. “They’re so deep, almost like the Barcelona kind of starting the play. “That’s very unusual for Arsenal to start so deep and receive the ball. But, they can do it, they’re quality players. Rafa Benitez’ Newcastle United are up next for Arsenal after the international break at St James’ Park, which is a notoriously difficult place to pick up three points. If they can emerge victorious not only will they continue to climb the table but they will also send out a message to the rest of their rivals for a place in the top four which says they are improving quickly and cannot be discounted.